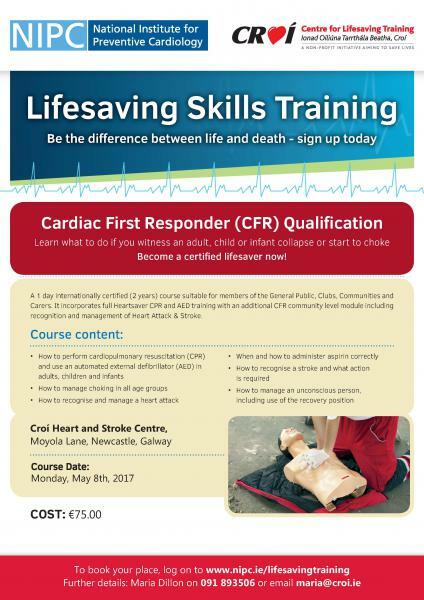 A one day internationally certified (2 years) course suitable for members of the general public, clubs, communities and carers. 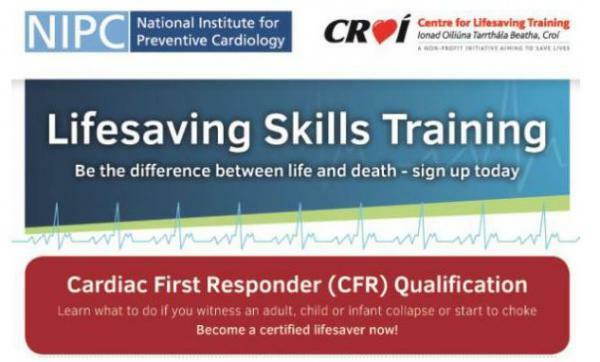 It incorporates full heartsaver CPR and AED training with an additional CFR community level module including recognition and management of heart attack and stroke. Part 2. How can I reduce my Blood Pressure? 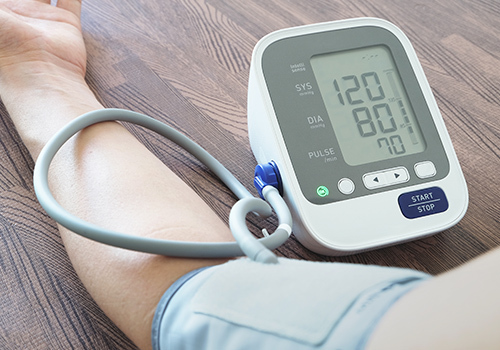 In the first part of this two part series on blood pressure we discussed what blood pressure is, it's causes and how you can identify high blood pressure. In this article we will discuss what you can do to reduce your blood pressure. It is well researched that being overweight can lead to an increased risk of high blood pressure. Maintaining a well balanced diet can considerably reduce your blood pressure. Losing as little as 10% of excess weight can lower blood pressure. Being overweight is also a risk factor for heart disease and diabetes. Consult with your GP/Nurse to set realistic achievable goals for weight reduction. 10% weight reduction can lower your BP by 10-20mmHg. If you smoke, stop! Smoking is another major risk factor for heart disease and stroke. Once you quit, your risk of having a heart attack will be halved within two years. There are lots of different methods to help make quitting easier. Consult with your GP/Nurse to see what is suitable for you. If everyone in Ireland reduced salt intake by half a teaspoon (2.4 grams per day), this could prevent approximately 900 deaths each year from stroke and heart disease. People in Ireland take too much salt and this is directly linked to high blood pressure. It is the sodium in salt that affects blood pressure. Do not add salt to your food at the table. Avoid adding salt to food while cooking. Cut down on processed foods that are generally high in salt. Try flavouring your foods with pepper, spices or herbs as alternatives to salt. Sea salt, rock salt, garlic salt and table salt all have the same sodium content. High blood pressure can be reduced by following a healthy eating plan that is high in fruit and vegetables. Adults should eat at least 5 pieces of fruit and vegetables every day. Buy lots of fruit and vegetables in a variety of colours. Fruits and vegetables have been significantly proven to help prevent diseases such as heart disease and stroke. Excessive alcohol consumption is associated with high blood pressure. It can harm the liver, brain and heart. Many people find that their blood pressure improves when they decrease their alcohol consumption. Alcohol is measured in units. The recommendations for both men and women are shown below. Being physically active is one of the most important steps you can take to prevent or control high blood pressure. It also helps to reduce your overall risk of heart disease. Aim for a minimum of 150 minutes of moderate intensity aerobic activity per week. One way of achieving this is a 30 minute brisk walk 5 days per week. Get off the bus one or two stops earlier. Park your car at the far end of the car park. Anxiety and stress may raise your blood pressure in the short term. This is a normal response and healthy blood vessels can cope with these changes. However, if your blood pressure is raised for long periods of time due to stress, this will eventually damage the walls of your arteries. Try to develop methods of coping with stress that you can practice anywhere, a way of “switching off” for 5-10 minutes. Relaxation exercises can help to release brain chemicals that act as your body’s natural brain tranquilizers, helping to lower blood pressure, heart rate and anxiety levels. Posted in Health BlogLeave a Comment on Part 2. How can I reduce my Blood Pressure? High blood pressure has many harmful effects on the body. It increases the risk of having a heart attack or stroke. By taking control of your blood pressure you can make a positive step towards reducing your overall risk of developing cardiovascular disease. Ireland has one of the highest incidence rates of Stroke and Coronary Artery Disease in Europe, with one in seven of all Irish adults having high blood pressure. High blood pressure can cause silent damage to the blood vessels and the heart. If left untreated the damage may progress and result in a stroke or a heart attack. Blood pressure is the force of blood against the walls of the arteries when the heart contracts. Everyone has blood pressure. While a certain amount of pressure is needed to keep the blood flowing, this pressure can increase if the blood meets resistance in the arteries. Blood flowing through the arteries at high pressure can damage artery walls. If this pressure is persistently high, this is called high blood pressure or “hypertension”. High blood pressure is a sign that the heart and blood vessels are being overworked. The “systolic” pressure is the pressure exerted on the arteries when the heart is beating. The “diastolic” pressure is the pressure present in the arteries when the heart relaxes between beats. Blood pressure is expressed as the systolic pressure “over” the diastolic pressure. For example, a blood pressure measurement of 120/80 is expressed as “120 over 80”. Having your blood pressure measured is quick and easy, and can be done by your doctor or nurse. Blood pressure is measured using a special instrument called a sphygmomanometer. This involves a cuff being wrapped around your arm just above the elbow, which is then inflated. Automatic blood pressure monitors are commonly used. In these cases the blood pressure reading appears on a small screen. 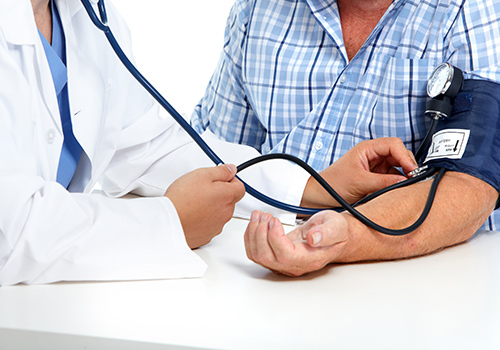 Blood pressure is just one of the risk factors for heart disease or stroke, therefore your doctor may decide to do some extra blood and urine tests to identify other risk factors that you may have. This monitor must be worn for 24 hours and will inflate and check your blood pressure every half hour. Your blood pressure will vary at different times of the day depending on your activity levels, therefore it is important to carry out your normal daily activities while wearing the monitor. Age (as you grow older, blood pressure tends to rise). A high intake of sodium (salt) in the diet. A high intake of alcohol. Ethnic Origin: people from African-Caribbean and South Asian communities have a higher predisposition to developing high blood pressure. In the remainder of people who don’t fit into the above category, high blood pressure can arise as a result of other diseases such as a kidney disease, disorders of the adrenal gland etc. It is very important to know the recommended target level for blood pressure. If you have Diabetes, Heart Disease, Kidney Disease, or if you have had a Stroke your doctor may prescribe a lower target level. More than any other food, fish is linked with a healthy heart. We have known for many years that people who eat lots of fish have less heart disease and stroke compared to people who never eat fish. One study found that eating fish once a week reduced fatal heart attacks by 50%. Fish has many benefits for the heart but the main benefit comes from its omega-3 fats. 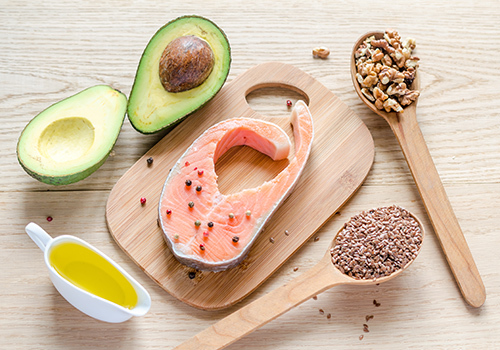 Omega-3 fats are a special type of fat that keep the blood from clotting (which can trigger a heart attack), as well as reducing inflammation and maintaining a healthy heart rhythm. All fish is good for us, but oily fish has the highest omega-3 content. Aim to eat two portions of fish per week , one of which should be oily. Examples of oily fish include salmon, trout, mackerel, herrings or sardines. If you have had a heart attack you should try eat oily fish two to four times a week. Fresh, Frozen or Tinned Fish? Fresh oil-rich is a great source of omega-3 but tinned fish or smoked salmon is also a good source. Just watch out for tune – fresh tuna has omega-3 but tinned tune generally doesn’t. However tinned salmon, trout and mackerel are all good sources of omega-3 fats. Oil-rich fish is the best place to get omega-3 fats but if you dislike fish, try to get your omega-3 fats from vegetarian sources. Avoid going for supplements, unless your doctor or dietitan recommends you to commence one. Full of Omega 3, Salmon is food for the brain, body and heart. Rinse the salmon, pat dry using kitchen paper then dust the sides of the salmon with Cajun seasoning. Heat the oil, then sear the salmon on each side for half a minute. Serve with baked or mashed and your favourite greens or salad. Tour de Lough Corrib Offically Launched. Register Now. 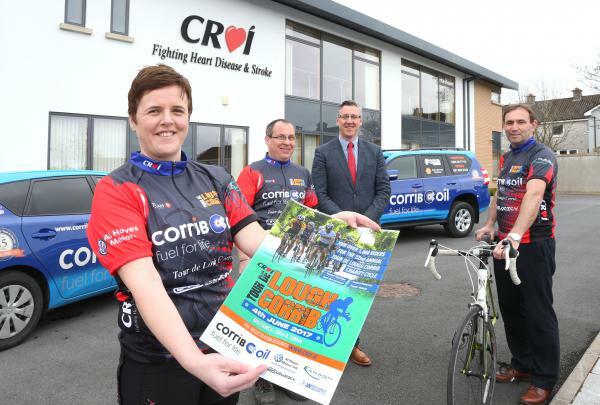 Local Heart & Stroke charity Croí are calling on all cyclists to participate in the upcoming 22nd Annual ‘Tour de Lough Corrib Charity Cycle’ on Sunday June 4th. This fun cycling sportive continues to be the biggest charity cycle in the West of Ireland offering a choice of a 45km or a 120km route through stunning Connemara. Local company, Corrib Oil have been the main sponsors of this event every year since its inception and supporting sponsors this year are Al Hayes Motors, Carragh Precision and Velocity Bike Store, Oranmore. Posted in NewsLeave a Comment on Tour de Lough Corrib Offically Launched. Register Now. 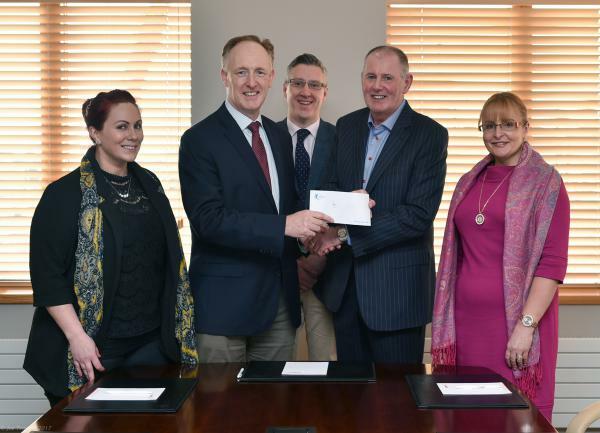 he efforts of heart and stroke charity Croí in preventing death or disability from heart attack and stroke have received a welcome boost this week by way of a generous donation from local home care company Bluebird Care who have become a Croí Patient Education Partner for the coming year. The partnership aims to prevent heart attacks and strokes in the West of Ireland through patient education and awareness initiatives which will educate people on the risk factors for heart disease and stroke and signpost them to a healthier and longer life. Pictured above: Sarah Burke (Croi) and her mom Bernadine. 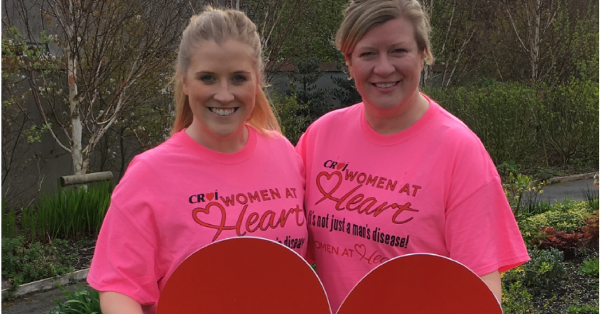 Local heart and stroke charity Croí are calling on Moms & Daughters to take part in the Vhi Women’s Mini Marathon on June 5th to help raise much needed funds towards the fight against heart disease and stroke in Women. “Nearly every Irish family have been affected in some way or another by cardiovascular disease – I lost my nana in 2014 from stroke related illness, so I’ll be participating in the Vhi Women’s Mini Marathon with Team Croí in memory of her. By participating in this event in aid of Croí, you’re not just raising money to help fight heart disease and stroke, you’re raising awareness of the prevalence of heart disease and stroke in women, and ultimately you’re helping Croí save lives.” says Sarah Burke, Fundraising Executive at Croí. Once considered ‘a man’s disease’; the number of deaths from heart disease and stroke are now virtually the same for women as men. ‘Croí Women at Heart’ is a campaign by the heart & stroke charity to educate and empower women to make their heart health a priority. Today in Ireland, cardiovascular disease is the leading cause of death in women, with women 7 times more likely to die of heart disease or stroke than breast cancer. However, nearly 90% of cardiovascular disease is preventable, which means with awareness, education and empowerment, we can save lives. The Vhi Women’s Mini Marathon is the biggest women’s only event in the world, with over 42,000 people talking part every year. Closing date to register for the event is Friday 28th April – So, go and grab your mom, daughter, sister, aunt, granny or best friend to join Team Croí to walk, run or jog this 10km event together and help fight heart disease and stroke. For more information visit www.croi.ie, phone 091-544310 or email sarahburke@croi.ie. 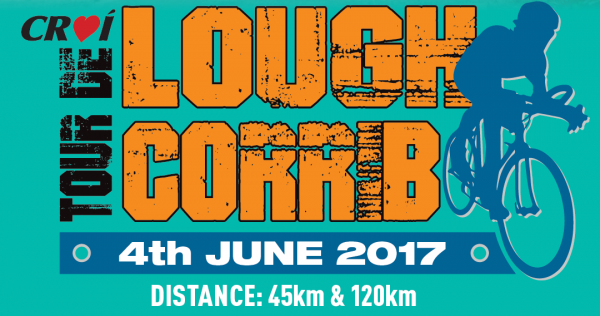 … for the 22nd Tour de Lough Corrib charity cycle will take place on Sunday, June 4th 2017. This fun cycling sportive is the biggest charity cycle in the West of Ireland.